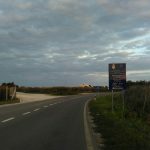 Many reports focus on the physical violence which Hungarian border guards and militias use against migrants at the Serbian-Hungarian border. But the reign of violence reaches beyond these physical attacks at the Serbian-Hungarian border: Violence is omnipresent at the routes of migration in the contested border zones of Serbia, Hungary and Croatia. Furthermore, it manifests itself not only through physical attacks – violence is also exerted psychologically as well as institutionally. 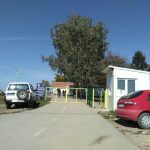 Both borders to Hungary and Croatia display a number of similar circumstances: camps without adequate capacities, non-functioning lists supposed to ensure legal crossings, and severe police violence by Hungarian police forces (which also widely deploy dogs) and Croatian police (which adopts the same model of beatings and push-backs for an ever-increasing number of people) in the case of ‚unauthorised crossings‘. The police violence is documented in official NGO reports (e.g. Amnesty International report on Hungary4) and has been included in reports ranging back to January 2016 (Croatian police violence and push-backs on the Serbian-Croatian border5). But little has changed over all these months, in fact the violence seems to worsen. However, despite the increasing obstacles, migrants continue to try to overcome their forced stay in Serbia and repeatedly attempt to cross the border to Hungary and Croatia. 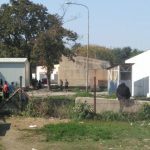 The following testimonies6 were recorded in late September at refugee facilities in Bel­grade, Subotica, Kelebija and Šid. Click here for photos which were given to us by testifying migrants who documented their own injuries. These pictures show open wounds and injuries from dog bites and truncheon attacks, which were caused by border police of Hungary and subsequently received poor medical attention in Serbia. Click here for a video which was taken at the beginning of October 2016 and which shows the serious injuries of a group of minors caused by Croatian police before they pushed the minors back to Serbia. The video was given to Noborder Serbia as evidence of police violence. As government camps in Serbia are full, miserable and remote, more than one thousand migrants sleep rough in the streets of Belgrade. 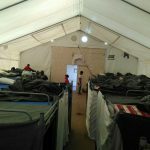 The nights are getting colder and the weather condi­tions are often rainy and difficult to endure, thus illnesses amongst the migrant community are increasing. Temperatures continue to drop and it is only to get worse during the upcoming winter months. 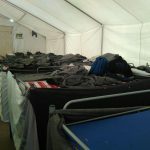 Blanket provision is attempted by solidarity groups as well as MSF, but there is no provision of warmth and shelter during the nights. Self-organized solutions like sleeping in abandoned warehouses are occasionally tolerated (mostly in buildings which are set to be demolished soon to make space for the Waterfront project), but often forbidden and made impossible by Serbian authorities. 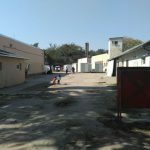 Several squatted buildings, which provided a minimum of dignified shel­ter and sleeping space, were evicted by police during the last few months. People are harassed by the police at various sleeping spots (squats, parks, parking lots etc) during the nights. Often up to 15 people are taken to the police station, and many end up jailed with dubious fines demanding up to 280€. Those lacking the ability to pay are im­prisoned and frequently released after a few days in exchange for paying a ‚discounted‘ fine (e.g. 20€-100€). Furthermore, arbitrary arrests also happen in the border regions. 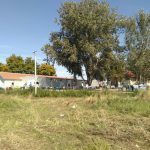 We received several indications that dozens of migrants are arbitrar­ily detained in Sremska Mitrovica, close to Šid. Permanently changing police orders, arbitrary jurisdictional verdicts and omnipresent police control spread insecurity, frustration and fear. 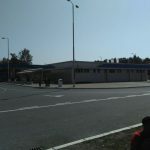 Outside Belgrade, the government facilities are overcrowded and badly equipped. 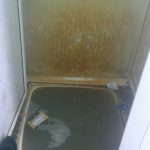 For instance, several residents confirmed that the conditions in the official camp in Subotica (located in the North) are terrible. It is completely full, and we witnessed people camping outside the camp in order to be finally admitted. The camp is kept in an intolerable unhygienic condition by authorities and it lacks any protection against mosquitos or other animals. The camp’s medical staff do not provide adequate assistance. An often under-reported manifestation of the violence at Serbia’s borders and bordered zones is of a psychological nature. The circumstances confronting people in official camps as well as informal shelters are marked by the frustration and distress resulting from uncertainty regarding the possibility of crossing via these lists, the confusion resulting from ever-changing policy decision, the experienced ali­enation and discrimination due to the changing atmosphere in Serbia regarding migrants, and last but not least the suffered traumas caused by arbitrary police violence and prolonged detention. All these factors lead to a severely damaged mental health of people who want to move on but are forced to stay. 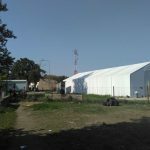 However, it is more complex and difficult to document these (mental) injuries, a problem reinforced further by the lack of medical assistance in camps as well as more generally in Belgrade. Xenophobic/racist neighbourhood protests in the Belgrade park by the railway station, which occur daily, continue to harass migrants, activists and anyone they deem to be of another opinion regarding the ‚migrant crisis‘. 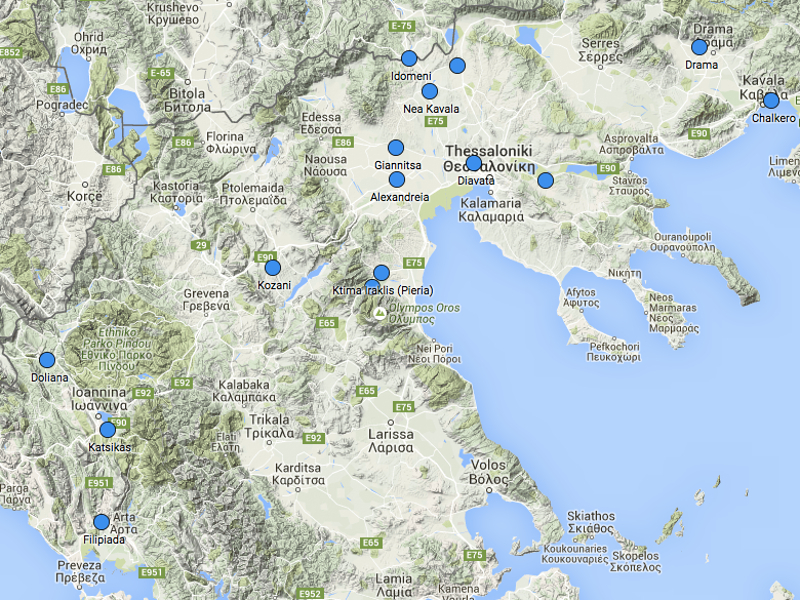 The numbers of these protests remain low (~5-15) but their recourse to verbal and physical violence is increasing. The ongoing fear mongering and hate-campaign against migrants is another pattern of this psychological violence. 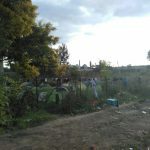 Moreover, the destruction of emergency shelters in Belgrade, arbitrary detention and legal uncertainty lead to an atmosphere of permanent fear, uncertainty, stress and desperation. 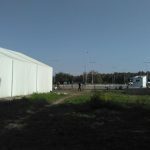 Despite these deteriorating conditions and a lack of perspectives, the architects of the European border regime cannot complete stop the the movements of migrants. On the one hand, borders continue to be crossed by those not authorised to do so, and on the other hand protest against against those conditions challenge the widespread despair. On October 4th 2016 several hundred migrants started a self-organized march towards the Hungarian border from Belgrade and set a strong sign of ongoing movements against the forced standstill and repression in Serbia. 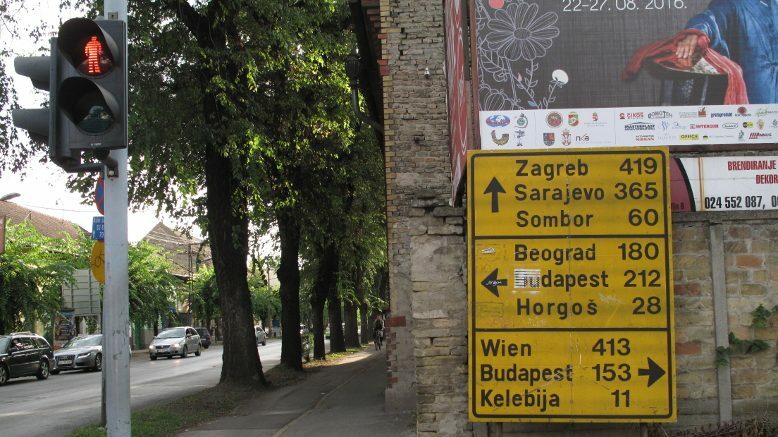 Due to exhaustion and the relentless pressure exer­ted by the Serbian police the protesters finally decided to return to Belgrade, after they had walked for dozens of kilometres. But the media reporting and public awareness have changed: The sometimes sensationalist and overheated coverage of last year’s movements has given way to a dense ignorance underpinned by a certain distrust and skepticism towards migrants‘ capacities to protest and self-organize. Eventually solidarity structures were tar­geted and policed as ‚troublemakers‘ and this lighthouse action in a desperate landscape was quickly forgotten and neglected. 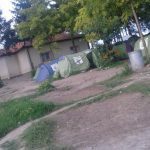 On November 5th 2016 an “Open Letter” from the Serbian government to humanitarian organ­izations was published7 stating the aim that all refugees should be made to move to official camps by stopping any aid and solidarity work outside these camps and more importantly – outside complete state control. It remains to be seen which consequence will follow, but it is obvious that it will neither improve migrants‘ situation in Serbia nor strengthen their autonomy. The forms of violence described above should not be perceived as a given, a natural fact, the way that many may take migration and escape for granted. Last year had seen moments in which migration and despair were not inextricably linked with one another. Only the closure of borders and the politics of fortification and deterrence are to be held account­able for the violence. Only the unconditional politics of freedom and equality adapted to the reality of migration will bring about an end to violence – be it its apparent or subtle modes.